Despite of limited variety of E34 differentials, there is a mass delusion that I will unveil. This on the left under the number “28” is the most common and is present on models with small motors to 525tds inclusive. They say it is “little to E34.” Small but typ188. Now notice how the differential in the middle with the number “69” is named as “big on E34,” if that still is typ188. 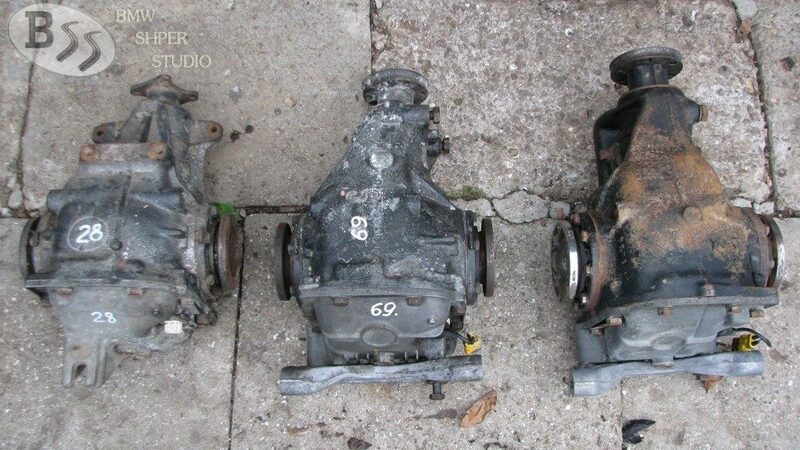 Actually largest E34 diff is on the right. Already typ210 and can be seen in the big sisters 535, 540, M5. The design of the rear axle of 540i is different from the 520i for example. Indeed Diff in the middle (525i, 530i) is very similar visually with this on the right but as always gets finally, size is the most important!